Last week we discussed how students seeking associate degrees and certifications in welding are dropping out because they’re struggling with pre-requisite courses like math and English. These pre-requisites aren’t always directly applicable to welding jobs, but provide skills like communication and critical thinking that are a definite boon to employees in the workplace. Students who struggle with these classes, however, are seeking entry-level work once they learn to weld. Those who can find work are accepting positions and abandoning their programs, ultimately adding to the growing industry skills gap. “If these students plan on advancing in career ten years from now, without a degree they won’t be able to move up,” Southern Maine Community College welding instructor Mark Legel told local news program WGME 13. The instructor was adamant that hardly anyone fails welding, and that pre-requisite courses were the barrier keeping students from degrees. The fact that these students are finding jobs might raise questions about how significantly these pre-requisites really impact employability. Being able to communicate effectively is important, but is it worth suffering through a course on English literature to show that you’ve developed your ability to communicate? Luke Buss, a student at SMCC, is an example of the benefits of staying the course and completing a welding program: including the pre-requisites. “Coming here was probably the best thing that’s ever happened to me,” Buss told the Portland Press Herald. “I go back (home) and all my friends are basically still doing the same things.” Buss is graduating with an associate’s degree that has helped him get a two-week internship at a nearby construction and fabrication company. The internship could lead to a $20 per hour job. Luke Buss welds during class at SMCC. Buss told the Herald that although courses like English literature might not apply directly to his trade, other skills, such as writing, communicating and critical thinking, are important no matter what job he does. And more importantly, Buss’s education has been noticed by his employers. Alex Dunklee, the shop foreman at Renaud Bros. in Vernon, Vermont, where Buss will be interning, said he wished he had stayed the full two years at SMCC. The second half of the program taught more computer-aided drafting and precision-machining skills Dunklee wishes he had learned. Instead, Dunklee remembers groaning through his English class. Yet as we mentioned last week, the SMCC program that Buss attended is being shut down because the vast majority of its students are dropping out in favor of immediate employment before their degrees or certifications are complete. For example, when a construction project begins it can temporarily generate a lot of entry-level jobs for local workers so that the site can get underway quickly. 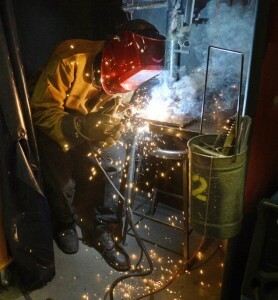 Employers can also keep costs down by filling their basic positions with inexperienced welders. These jobs are usually only temporary, and once over the drop outs are left with a little bit more practical experience, but nothing else to distinguish them from the rest of the entry-level worker glut. Although it may not seem like it in the moment, pre-requisite courses are designed to teach “soft skills” that improve your ability to interact with other people and compliment your technical abilities when working on a team. For example, English isn’t just designed to teach grammar and spelling, but reading comprehension and clear communication. Although the requirements of an English class might seem like overkill, a good grade is an easy advertisement to a potential employer that you have these valuable skills. Meanwhile, science and math courses are even more essential in order to perform the basic technical functions needed in all job sites, including measuring and understanding schematic scales. According to Ryan Blythe, administrator of the Georgia Trade School in Kennesaw, Georgia, sticking with a degree course can also provide another subtle, but significant edge with employers by showing them that you can help improve the image of the overall industry. The welding industry suffers from an image problem. Like other trade skills, it’s often seen as a lesser alternative to 4-year college, an option for people who can’t cut it in higher education. People have trouble recognizing that welding is a respectable and potentially lucrative career path in its own right. This image problem is part of the reason why apprenticeships have largely been on the decline in the U.S. since 2003. Before working at the Georgia Trade School, Blythe had worked at another Georgia based trade school that was shuttered. There were several reasons why the school closed, but in an interview with “The Fabricator”, Blythe, pointed out that many students he would see coming into the welding program did so as a second career, in some cases after being incarcerated, or having faced serious financial troubles. Additionally, drug use has been a problem. Blythe noted that these students didn’t turn to welding because they wanted to, but because they saw welding as their best and only option. Seeking a stable career is a perfectly valid reason to become a welder, but these types of students are not ideal for an industry that suffers from an image problem. According to Blythe, despite the industry’s needs, it is inundated with candidates who feed the skilled labor stereotype. The image problem is particularly difficult to overcome because it’s cyclical. That is to say, people who add to the stereotype are also attracted to the industry because of the stereotype. Professor Tim Baber, chair of welding technology at College of the Canyons, Santa Clarita, California, told “The Fabricator” that popular perception of the welding industry depicting renegade welders rebuilding hot rods in record times, give people unrealistic expectations of the industry. Students don’t expect welders to be button down types. Welders are portrayed in media as being slightly wild and loners. The reality is the opposite. Employers are looking to hire professionals, even at entry level. People who will not only break the public perception of welding as a “fall back” career, but who will also overcome the skill shortage challenges the industry has been facing recently. 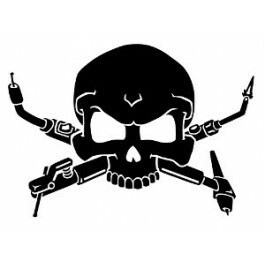 Welding’s bad boy image can lead to unrealistic expectations of the industry. Which is why completing a degree provides a candidate such a distinct edge. Employers are looking for candidates with dedication and a desire to grow; traits that would help dispel negative stereotypes. Industry leaders don’t want employees who think they have no other options. Employers want candidates who can succeed in a 4-year college, but choose welding because they’re passionate about the skill. Seeing a program through to completion is an easy way to show employers that you have the drive they seek. Getting a degree also shows employers that you’re not just a good hire for right now, you’re a sound investment for the future as you’ll be less likely to stagnate at the entry level. An employee who seeks out certifications as a student is seen as more likely to continue to grow once they enter the industry, learning the advanced skills that are so critical on job sites. These are skills that will only continue to grow in demand as older welders retire and the skill gap widens. Regardless of your background and motivations for becoming a welder, however, knowing what employers are specifically looking for in job candidates can be a major help when seeking work. Join us the week after next when we break down some of the traditional and less traditional features employers are looking for in a job candidate. In the meantime, we invite you to explore the American Welding Online website where you can find podcasts, virtual conferences, online courses and information on career pathways designed to help you further your welding career and give you an edge over the competition. To keep students engaged in all of the program requirements, the companies who are supporting the weld programs need to be engaged by speaking to the students and expressing their needs as employers. Especially the needs outside of the welding, i.e. communication skills in reading, writing, and comprehension. Being a good employee is more than just passing prospective employers on site welding test. Frankly, if that is the ONLY pre-requisite that an employer is worried about well then he/she/they can hire that guy/gal and I’ll reserve my right to choose employment elsewhere. I don’t want to work for a tunnel vision type of company. I don’t think that kind of company would bolster job security and would be out competed in tomorrow’s market. A degree should indicate to a smart competitive employer that the candidate has the potential to grow along with the company they are applying to. Not only should an employer be focused on the ability to lay a bead today but look for other issues that fabricate a good employee like those credentialed with a degree coupled with morale’s, ethics, a strong work ethic and just down right excited about welding stuff.